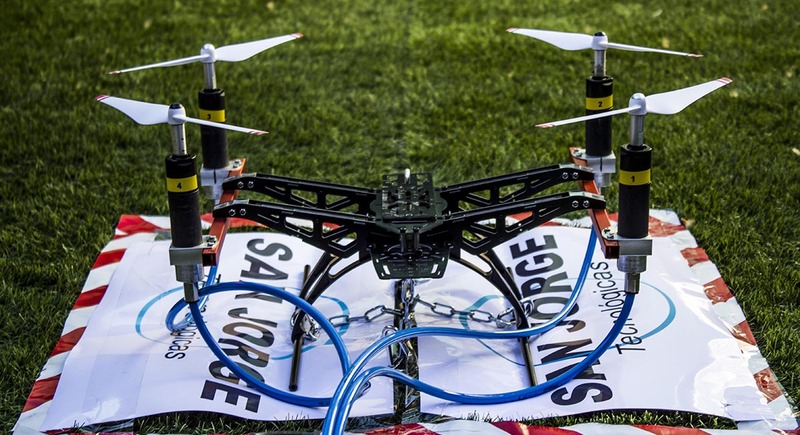 ATEX DRONE project originally developed by San Jorge Tecnólogicas has managed to pass as a finalist to an entrepreneurs fund boosted up by Repsol Foundation. ATEX DRON is a technology designed by San Jorge Tecnologicas consisting on a flying drone thought for the inspection of hazardous facilities. The first manufactured prototype has been all this time in an initial stage waiting for financial support in order to take the development to the next level. Now, the opportunity has finally presented.